Marriage is no small decision. 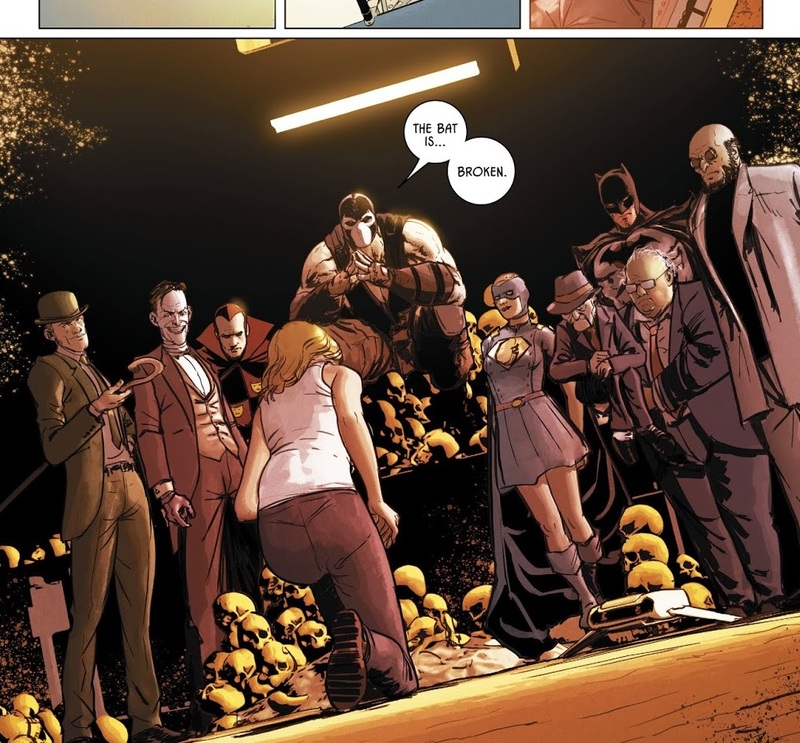 When writer Tom King had Bruce Wayne unmask and propose to Selina Kyle, it was an unexpected conclusion to an intense and near fatal victory from the vengeful and meticulous Bane. Batman has always been one of DC Comics strongest characters – primarily because he is a walking paradox of tragedy and willpower. By choosing to become Batman, he entered into a symbolic matrimony that would be for better or for worse until victory or death. So when he proposed to Catwoman many were skeptical. Tom King, alongside many talented artists, put both characters through every kind of gauntlet the DC universe could offer and still they remained together. Because deep down, we believe in Batman and we want to believe he can be happy even if we know he cannot. Before the issue was even in stores, online spoilers confirmed there was no marriage, making this the second comic book wedding this year to end in disappointment and frustration. This recent failure of buildup with an unsatisfying conclusion continues to give the incorrect impression that comic book characters are unable to commit to the expectations of marriage. Yes folks, they can save the world again and again but walking down the altar and saying ” I do” may be too much for our heroes to handle. Just like Kitty Pryde and Colossus’ wedding at Marvel, the entire issue is spent building up to the big moment. 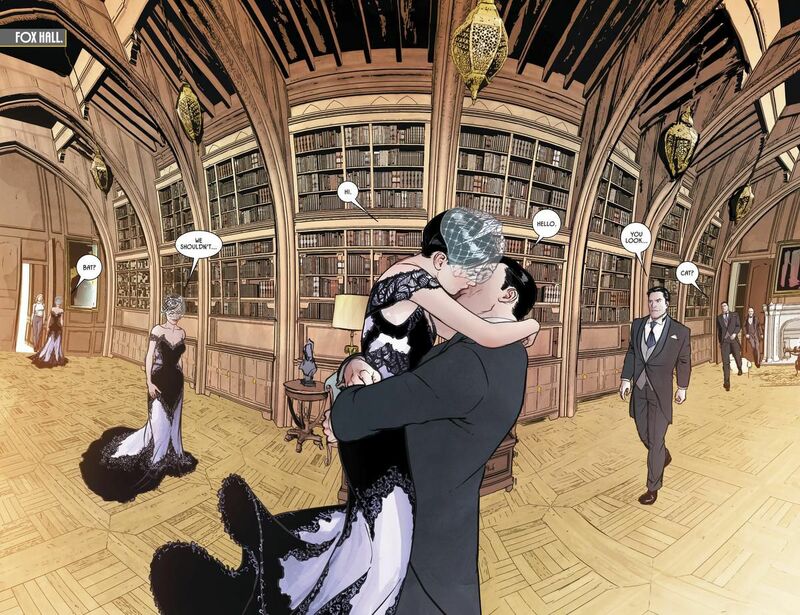 The main story drawn beautifully by Batman Rebirth collaborator Michael Janin shows Bruce and Selina’s building up to the ceremony tied together with their individual letters narrating their thoughts and feelings to each other. The issue is scattered with pages from various artists who have contributed to Batman throughout the years but with little to no contribution to the main story, it appears just as a ploy to justify the issues $4.99 sales price. It was right around the point where Selina’s friend Holly starts suggesting that maybe Batman can’t be married and be happy that I started to get déjà vu, as if some of the plot points from Kitty and Piotr’s failed marriage had made their way over to Batman. While Tom King’s current narrative in Batman has been strong and full of great character moments, Bruce’s talk with Alfred being one of the strongest in this issue, I found myself wishing more was shown instead of being told. Instead of Selina telling Bruce that she couldn’t marry him in a letter and why, I would have liked a conversation between the two of them discussing this. Selina has had all sorts of people discuss her relationship with Batman, even a one-on-one with the Joker, but she remained steadfast in her decision until now. She has seen more of Bruce Wayne than most partners ever did but it takes one conversation to unhinge her faith in their love; she believes marrying Bruce will rob Batman of the necessary drive that allows him to help others. Just like Batman loses his bride, we lose our hope in Batman ever finding a happy ending. There has been 25 issues, tie-ins, press and work invested into this and in the end they just didn’t go through with it? It is completely frustrating because they had you believing it was gonna happen. You believed the hype so much that you didn’t see the rug pulled under your feet until it was too late. Now you feel foolish for even believing it could happen in the first place. In the end, this event ruined marriage for Batman the way Death of Superman ruined death for all superheroes. This disappointment continues a trend in comics over the last few years that comic book characters apparently can’t handle stable relationships. Their lifestyle does not allow for the kind of happiness and stability necessary for a relationship or a family and I think that’s absurd. In certain circumstances, it’s been absolutely entertaining watching Superman juggle a family and its responsibilities or watch Batman trying to be a father and also Batman. It takes them out of their element and adds a certain humor to the high stakes intensity and seriousness that is as much their lives as the capes and tights. 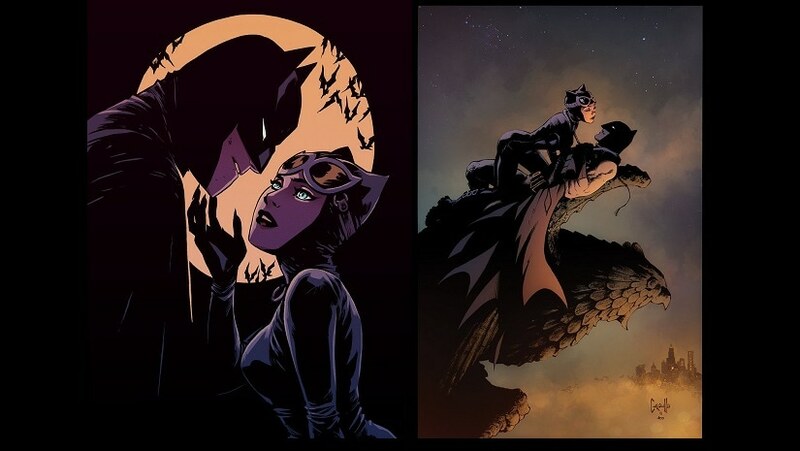 Regarding Bruce and Selina, they are still Batman and Catwoman and writer Tom King has shown this continues to be a part of his overall story so this moment will not be overlooked for it simply the end of the current chapter. Will Bruce and Selina attempt to discuss what happened and where to go from there? Probably but I don’t understand why such moments couldn’t have been explored or explained better and that’s where most of my frustration is focused. By denying us those experiences, the readers are robbed of a better way to understand and identify with the characters. The event had such buildup and momentum behind it and it just fizzled before our eyes. It could have been different and it should have been discovered by fans who waited at their stores until midnight or went the next day to buy the issue instead of spoiled days before by reputable news sources who should know better. Regardless if you were rooting for or against them, no matter how disappointed you are or who you’d like to blame for this turn of events, we don’t have to like it but as always, we move forward and hope for something better tomorrow. In the end we still have Batman and as Kite Man would say, hell yeah. Here’s remembering the time she almost got ‘im!